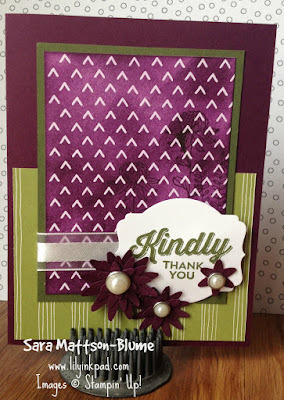 Three weeks ago, I was experimenting with the Embossing Resist nature of the Project Life Cards for the Stampin' Addicts Sale-a-bration Blog Hop. I created this card and I loved it, but it does have a flaw. The flaw? 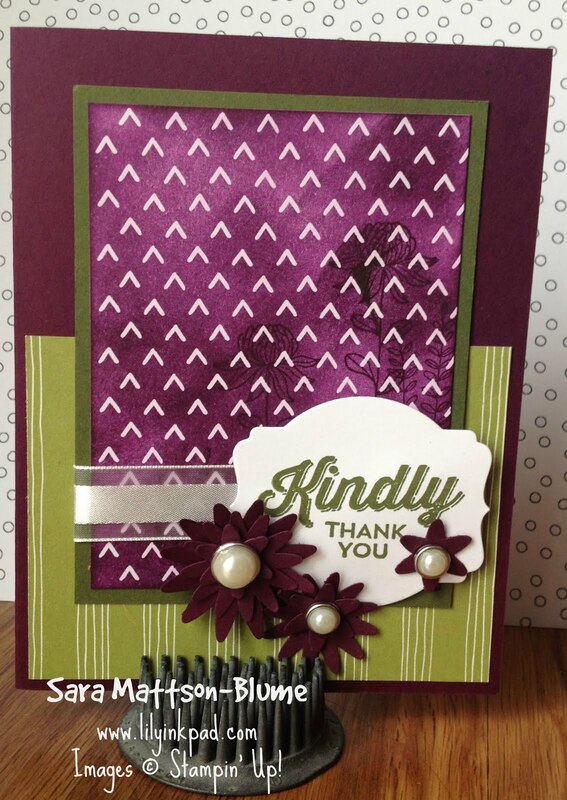 My stamped flowers are barely visible. I sponged over the Memories in the Making Project Life Specialty card too heavily. I still like the overall look, though. I used the Sale-a-bration Stamp Set Perfect Pairings and the Old Olive Designer Series Paper is from the Wildflower Fields Designer Series Paper. The flower punches are Blossom Bunch Punch and accented withe the Metal Rimmed Pearls.